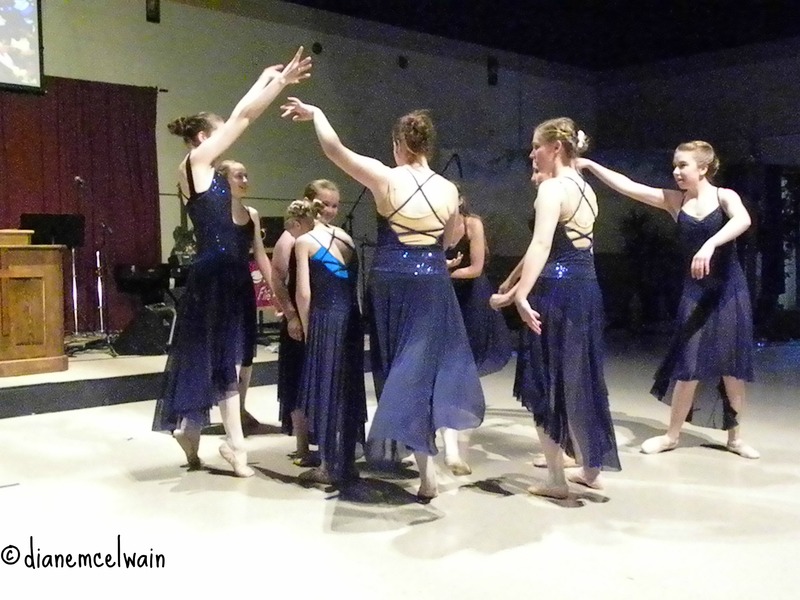 Just because I’m a grandmother of some of these lovely girls, (eight to be exact), is not the only reason I come to every dance recital. 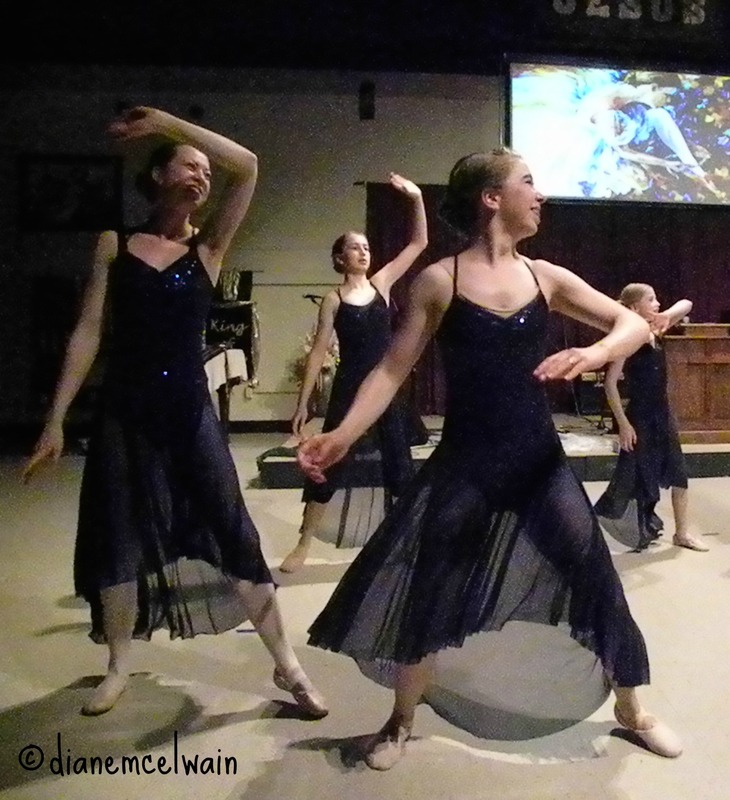 It’s not difficult to catch the expressions of the older, more experienced girls who have those graceful moves down, and enjoy the dance for what it is…praise to God. I don’t know whether it is my camera or the user who has trouble in dark settings, where the subject is constantly moving. I’d almost rather not take the camera at all and capture it all with my eyes. There were songs such as: “Pastoral Symphony” by Beethoven, “Variations on a Shaker Theme” by Copland, and songs by Jaime Grace, Hillsong, Andrew Peterson, and Rend Collective. Music is powerful gift from the Creator, and some have been given the gift of writing unforgettable music. It’s his great love that brings us powerful music that moves us. How often have you heard how a song spoke God’s love to someone? It was needed…he knew that. Those times that we struggle with grief and loss, daily life, or the times when we can hold our heads up and praise God for the music itself. 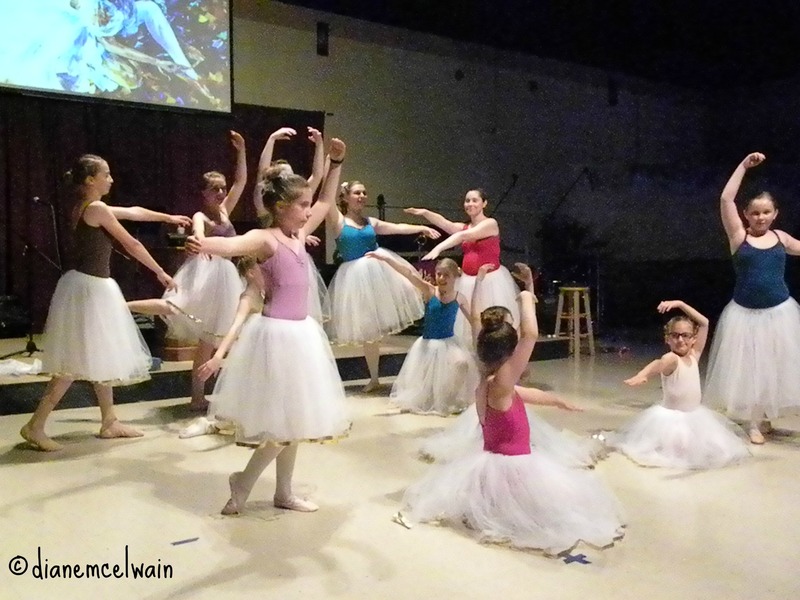 But all is glory to God in graceful movement. Just as songwriters praise God in the writing, singers praise in the singing! And the dancers…it is all graceful movement. When I was a child we danced the polka at weddings, and I was in awe as I saw my grandmother dance with her girlfriends. It was that special sparkle in her eyes I won’t ever forget. Good music, by its nature makes us want to move. Somehow in my early Christian years, dance was forbidden and I though what a shame. 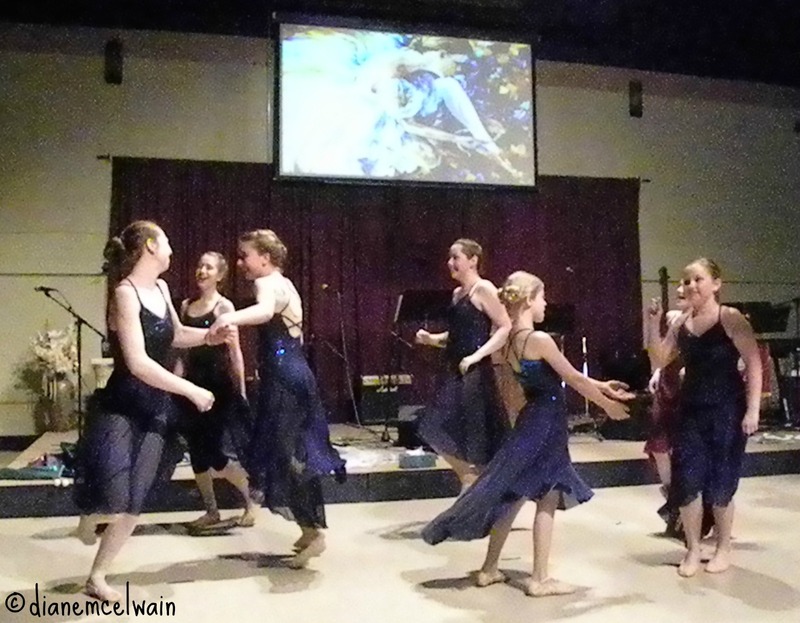 What about the dance worship in the Old Testament? How are lifting hands to God and praising his name too emotional after all he has done for us? Didn’t Christ spend his life’s emotion for all of us at Calvary? 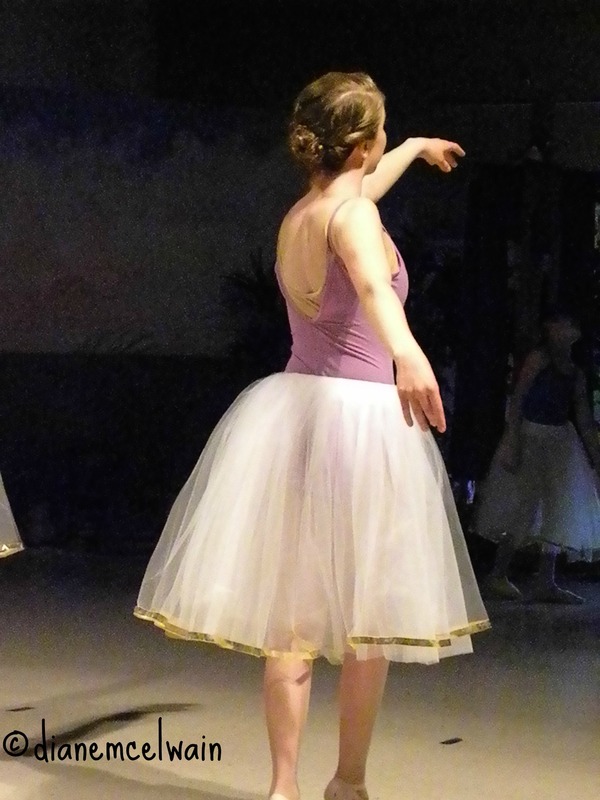 As I watched the graceful leaping, the turnings, the placement of lifting arms, I saw love in the eyes of the dancers. Did some of those little ones know why they were smiling? 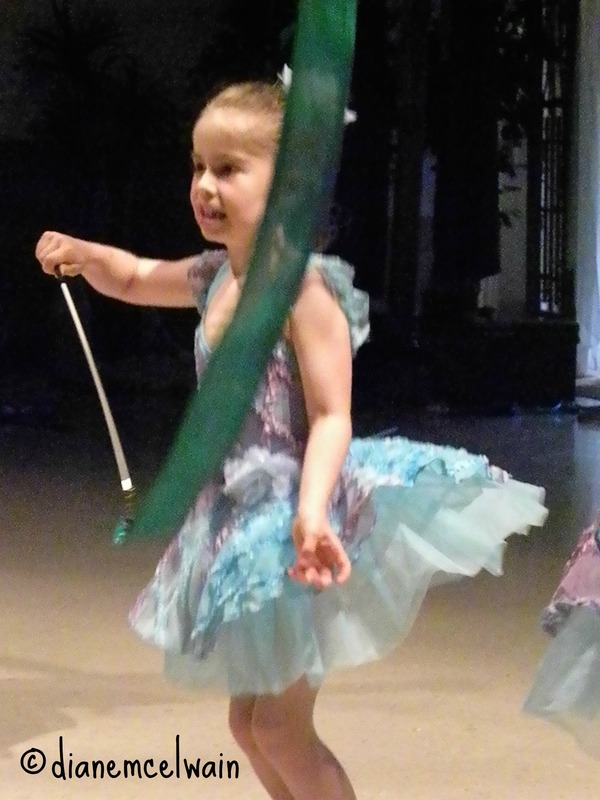 Not just for their teacher, but unknown to them, the simple pleasure of dance. All of life is a simple flow with God as in the dance. You can see it in the wind blowing the trees, the birds who fly so high they are a speck in the clouds, and one of my favorites…a running horse. Just to watch the muscles strain and stretch as the legs move in perfect motion, the flowing mane and the head held high. It’s beauteous rhythm. This is the power of God to put a tear in our eye, a hunger, a need to praise him for creation. Without grasping and selfish grabbing…when we flow with God’s rhythm we are at peace. There is joy in every moment of our lives…even the hard ones. If we can dance with our focus only on God, the hardships of life are soothed by his close presence. The burdens fall away as we flow with Him in the rhythm. He meant us to be free from carrying the burdens of life. Didn’t Jesus make a point of telling the disciples that He was going away…but leaving us a Comforter? He would not leave us alone. No, he knew the heavy burdens of this world…this life. As short as our life is…the comforter shares with us. Your words about dancing and trees transported my imagination to Narnia where the trees could move, and Lucy saw their silvery branches swaying in the moonlight. 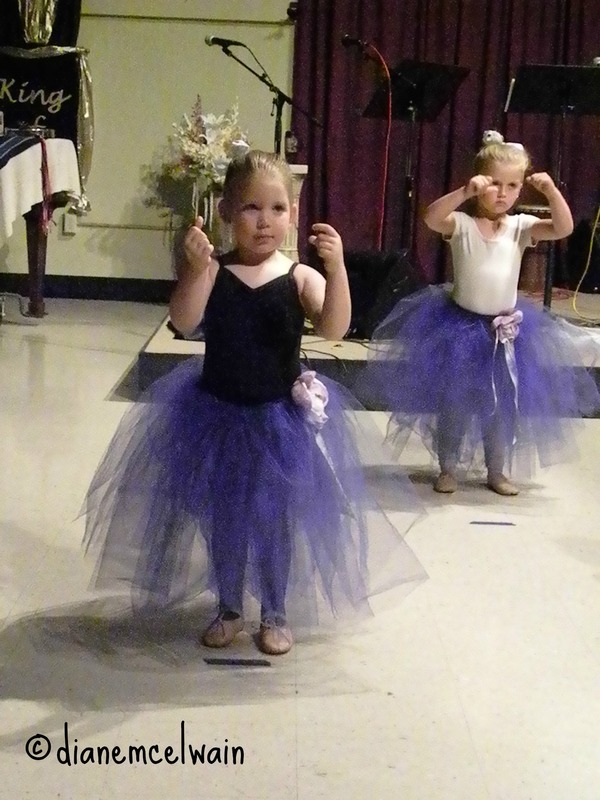 What fun to attend the dance recital with you! Michele I love Narnia! What better way to enjoy God but with child like awe! Thanks.